Let me tell you the tale of when we were sailing around an industrial island and discovered a small food district nestled in between. The local port looked like something straight out of a steampunk comic book - Ya know pipes, steam outlets, valves, meters and gears. There were also people in strange cowboy hats. I was told that these folks were from a nearby Western themed tavern. Steampunk, westerns and promise of good food. Here begins another adventure. Old Wild West is a new Tex Mex restaurant that plays on Western themes. It has opened shop in the brutal Kamala Mills area. Brutal for business owners, fun for connoisseurs. The rents are high, the competition intense and people are spoiled for choice. A slight thing out of place means losing your patron to a dozen other high end eateries nearby. 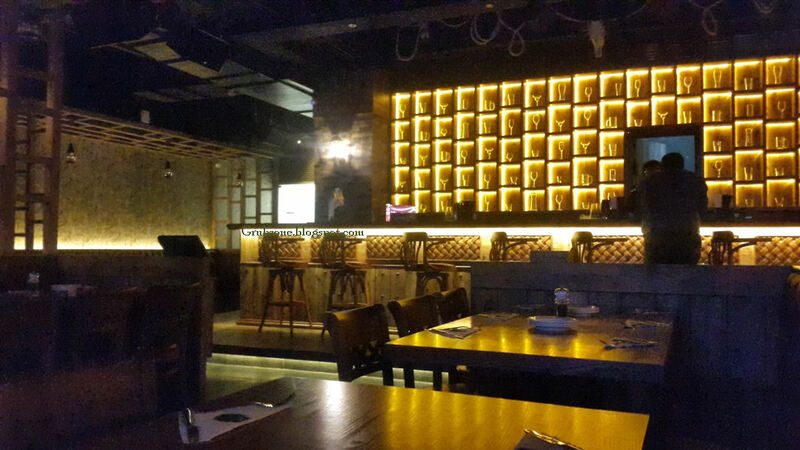 The dim lit golden lighting provides a genuine Southern states appearance to the restaurant. Though the restaurant plays it safe with a lot of stereotyped fine dine themes. 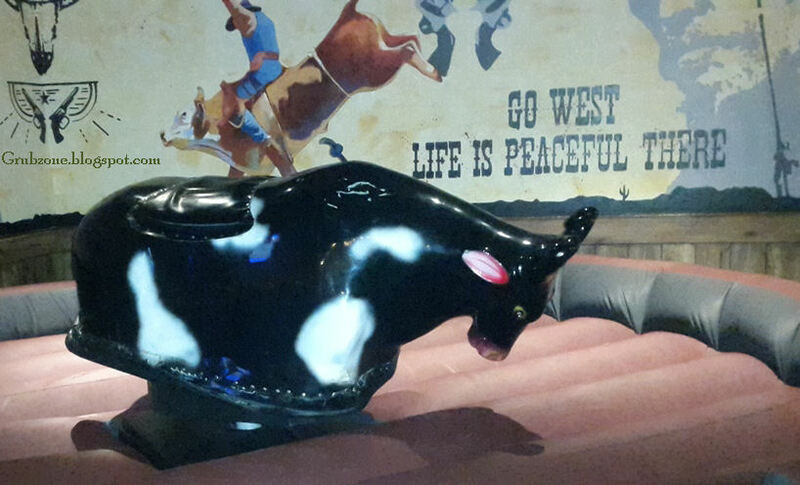 In the picture is a mechanical bull which is functional and can be used by brave patrons before meal. See if ya folks can last more than ten seconds. I will advise against riding post meal. After whiling almost thirty minutes in a near empty restaurant wondering where the service was, I finally found someone to take my order. 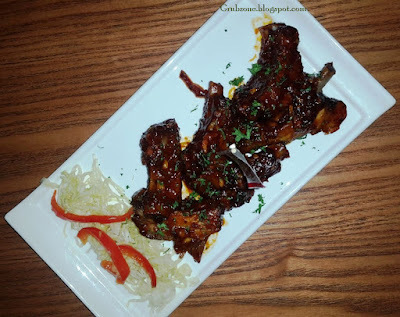 South West style Pork Ribs. The ribs were slightly above pedestrian in flavor. The meat was well cooked and came right off the bones. But somehow the ribs lacked the traditional smokey BBQ flavor that I have grown used to. Using my layman knowledge of the culinary arts, I assumed that this may be due to lesser BBQ sauce but it could have been something else. The billed slaw accompaniment was lacking both mayo and vinaigrette hence it was not a slaw. South West Chicken Tacos were far better than their South Western neighbor above. 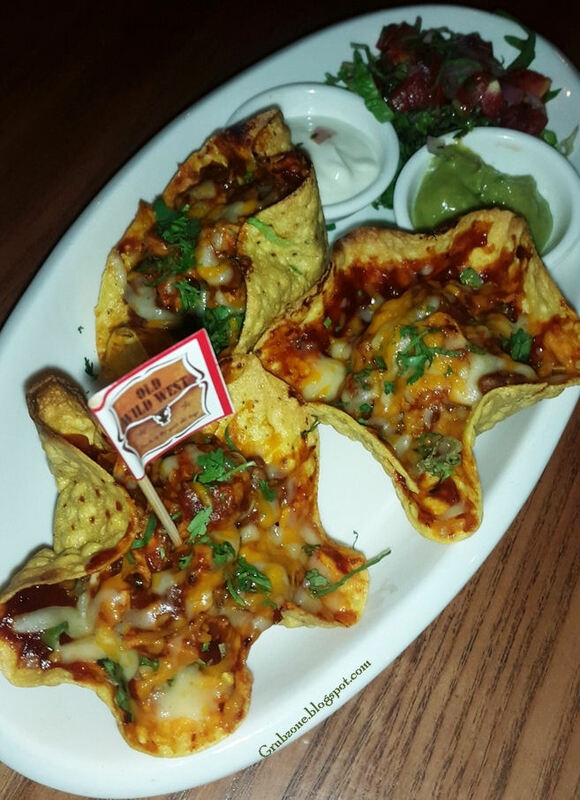 The flower cup like tortilla shells added a nice novelty. The chicken was juicy and tasted great with the bean mix deep inside. The spice content could have been a little higher but I won't complain about that. The shells were generously filled and were far better than most Taco's I have had elsewhere. Captain : Yep, this be a fine cup of grub. Captain : Yes there is a lot of cheese in the tortilla cups too. Crewmate : I meant your lines, Captain. Mexico Chili cilantro burger. Not as much of a looker as the things above, I felt that a slaw accompaniment could have made the plate appear a little less empty(As is the case in Indigo restaurants). The fries were far too subtle in flavor for traditional ranch seasoned fries. The burger itself was great. It was messy, juicy and well seasoned with spices. The patty was well cooked. 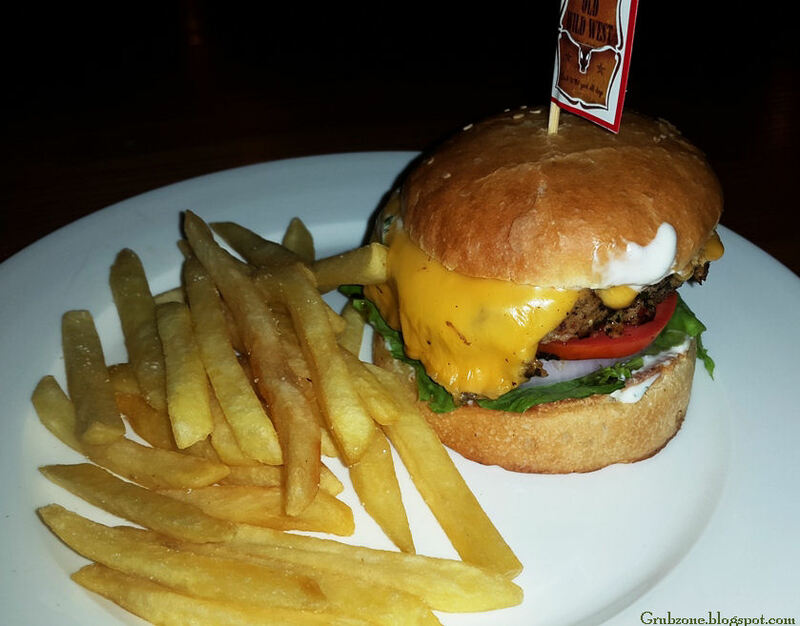 The only downside to the burger was that the bun bottoms were a little thick and crisp. Classic American Cheesecake was a baked Philadelphia cheesecake coated with sour cream glaze and honey. Strawberry coulis was artistically used as a topping as well. Though it doesn't seem to use a traditional Graham cracker crust, the base still tasted well. The package looked a bit messy and unfriendly to the camera(since the glaze reflects light) but it satiated the palate well. 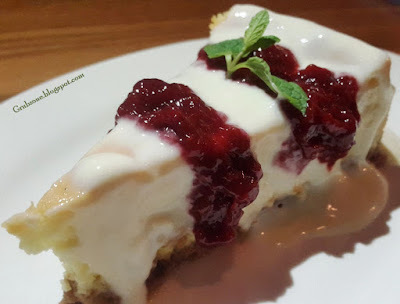 As a cheesecake lover I enjoyed OWW's version. Captain : Creamy above, Creamy below. Just the way I like it. Crewmate : Do you think they overdid the sour cream bit? Captain : It smells nice, it taste nice. I take it that you don't like it. Crewmate : No-no, that is not what I meant Cappy. Please save me some. OWW's Chocolate Mousse was a great dessert made out of cream, chocolate and delightful things of all sort but a mousse it is not. Since it does not contain egg, the taste feels very creamy. 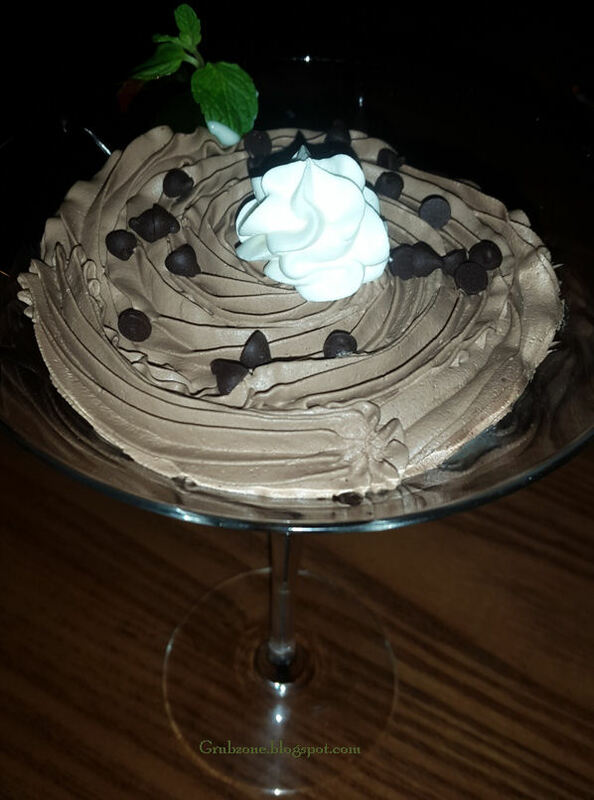 It lacks the airy lightness and the richness of a true mousse. I enjoyed this as a dessert but I cannot call it a mousse. The service was poor. 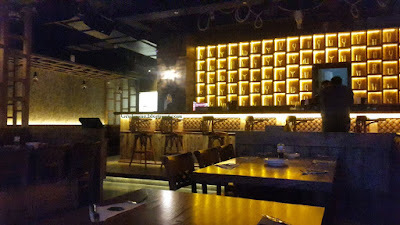 It took them ages to even note my presence and this was during a time when there were hardly three parties(myself included) in the restaurant's premises. I was slightly annoyed by the time the grub finally made it to my table. This kind of state can easily make one overlook the merits of the food though I tried my best to remain objective. The staff needs to be trained better. If there is a person inside your restaurant, have someone interact with them as soon as possible. I had to ask for service, I had to ask for water, I had to ask for cutlery and I had to ask for a menu. The Pricing is on the higher side though its on par with other establishments in Kamala mills. Old Wild West has its theme working for it but it needs to iron out issues and tighten the screws to exploit its full potential. The food is decent but it can be better. The ambiance is great for an evening binge. The service needs major improvement and some standard operating procedures. A table cannot be left unattended for over thirty minutes. "Shame, we have to leave this island. There is so much left to explore. Mark it on the map lads. We will be back, soon."